What's the Most Repulsive Mess You've Ever Seen in a Car? I don’t allow messes in my car. There’s no eating when you’re inside. There is a wad of microfiber towels at the ready in the trunk and in the seat pockets to wipe up the crap. But clearly, not everyone abides by this lifestyle. What’s the most disgusting mess you’ve seen in a car? 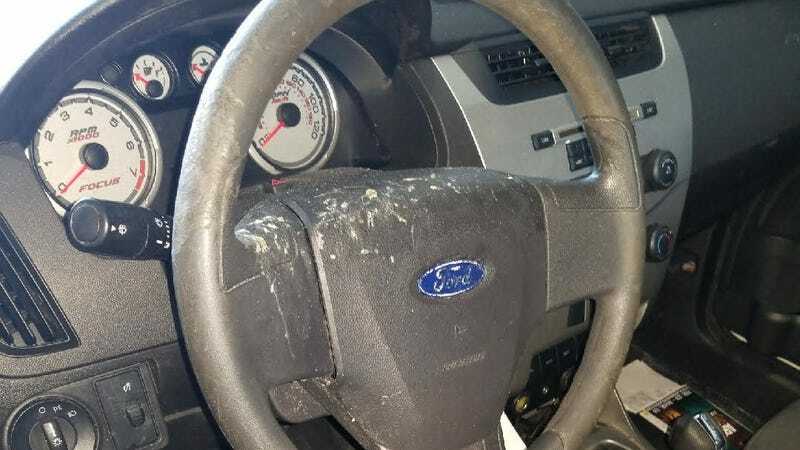 Yesterday, a reader sent us a picture of snot, actual snot, all over a steering wheel. I saw the photo and it made my stomach turn. I might have gagged. I can’t even begin to imagine what kind of persons lets their car look like this. The reader said he works in a service department and the car, unbelievably, was the owner’s second one to come in looking like that. So, this is us, running that article. But we’re not just limiting this to service folks. Anyone who’s seen messes in cars and snapped a photo or wants to talk about it on the internet, we welcome your responses. We’ve done kiddie messes before. Let’s see what chaos functioning adults can create.